In high volume plastic injection molding machinery, a molded part that does not clear the mold can cause serious problems, including a long down time to clean up or make repairs. A particularly useful property of the mold is its shininess, which means low emissivity. Accordingly, the infrared radiation from an open mold is primarily reflected from the room, and thus an IRt/c pointed at the mold would not read much higher than room temperature. However, if a part is still in the mold, the IR radiation is far higher since the high emissivity of the plastic part is easily seen by the IRt/c as the temperature of the hot part. By mounting an IRt/c so that it can view the part as the mold opens, a reliable and inexpensive part detection system can be installed. Simply connect the IRt/c to a simple thermocouple controller with alarms interfaced to the mold position. 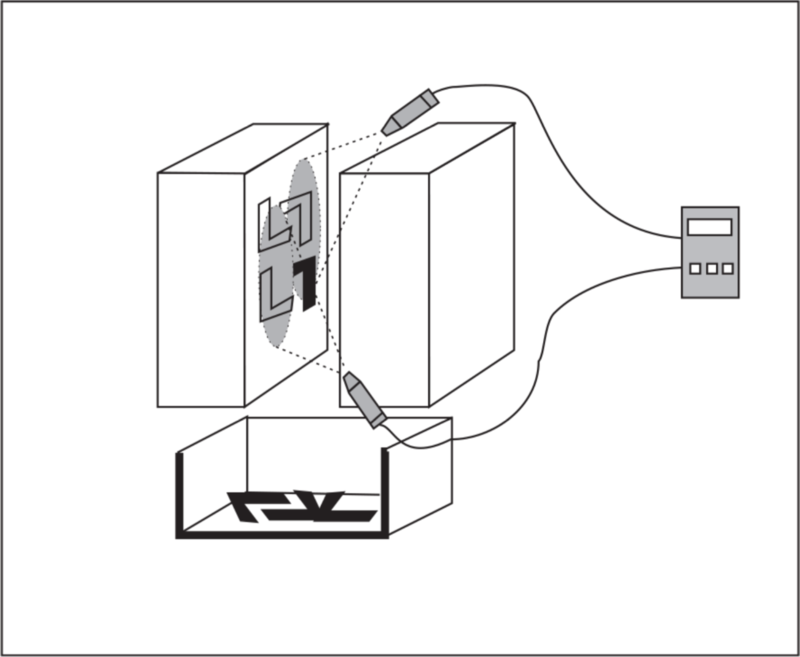 For efficient coverage of the mold, two IRt/c’s can be wired in parallel and connected to a single controller, so that a part viewed by either sensor will alarm. For harsh environments, the IRt/c.3x or IRt/c.5 models with narrow field-of-view and built-in air purge are recommended.